In California, you may be arrested and face driving under the influence (DUI) charges if your driving was erratic or if tests showed you were driving with a blood alcohol level of .08 percent or above, (the latter is called a “per se” DUI). People arrested for driving under the influence of alcohol and/or drugs in California face either misdemeanor or felony charges. The consequences of a misdemeanor DUI are different from those that follow a felony DUI conviction. A person who suffers a first-time misdemeanor DUI conviction in California is usually placed on probation and ordered to: 1.) Pay fines and assessments for court costs; and, 2.) Attend a mandatory alcohol education program. The penalties increase if the driver refused to take a chemical test or was found to have a blood alcohol level of 0.15 or more. Second or third DUI convictions may result in jail time and longer periods of mandatory attendance in alcohol education programs. In addition to the court action, the California Department of Motor Vehicles (DMV) will automatically, temporarily suspend the driver’s license of any person whose blood alcohol level registered .08 percent or above. A driver only has 10 days from the date of the arrest to contact the DMV to schedule a hearing to contest the “per se” suspension. After fulfilling certain conditions, a driver may apply for a restricted license; however, with each subsequent conviction for DUI, the period before one can even apply for a restricted license becomes longer. Most arrests for driving under the influence result in misdemeanor charges. However, if the arrest followed an accident in which another person was injured, or if the driver committed another illegal act while driving under the influence, the DUI would be charged as a felony. A DUI is also likely to be charged as a felony if the driver has three or more prior DUI convictions on his or her record in the past ten years. In such a case, the driver would be facing a minimum of 180 days in jail, and up to a year in state prison, solely for the DUI charge. Having a criminal record of any kind carries serious consequences, beyond the punishments imposed by the criminal court. A DUI conviction may effect your employment, child custody determinations, and education-related opportunities. If you are facing a DUI charge, whether misdemeanor or felony, you owe it to yourself to retain a knowledgeable, experienced, and trustworthy attorney to defend you. You need an attorney who can argue effectively to have the charges either reduced or dismissed, and, if necessary, go beyond plea negotiations and take the case to trial. As a former Orange County Deputy Public Defender Trial Attorney, Susan L. Hartman knows the factors that prosecutors consider in determining how to proceed after a DUI arrest. She also knows what is necessary to succeed at trial. At the Law Offices of Susan L. Hartman, DUI defense is all we do. Our initial phone consultation is free, and we work on a flat-fee basis. You are not required to schedule an office visit to retain our services; however, Susan is available by appointment. Many misdemeanor drunk driving cases can be handled without you ever stepping foot in the courtroom, saving you time and money! 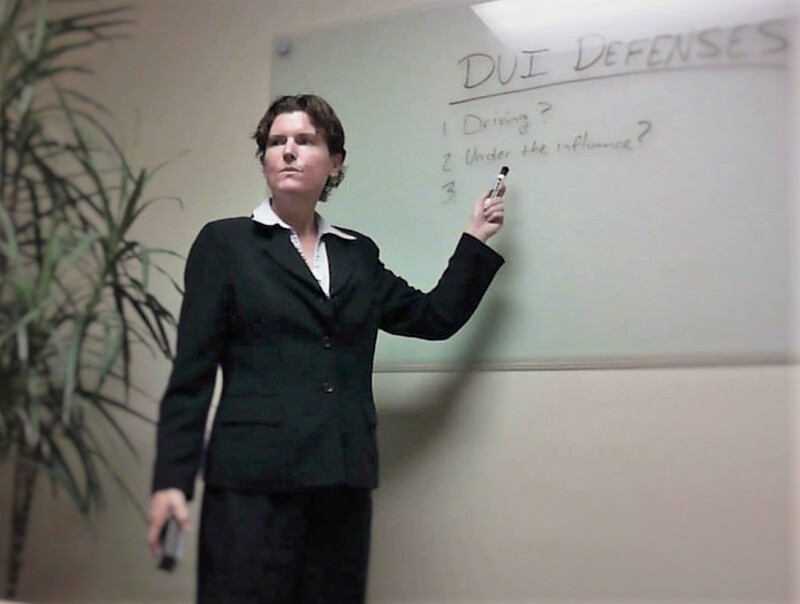 If you are facing a DUI charge, contact San Diego DUI defense attorney Susan L. Hartman right now to find out how she can help you get through this difficult time. Call (619) 260-1122 or fill out and submit our “Contact Us” form.